Bay and bow windows are a wonderful way to improve the appearance of your home, adding an interesting architectural feature and letting in plenty of light. Our windows combine the best new glazing technologies with excellent design and style. The result is a range of industry leading products that offer an attractive energy efficient solution for your home. The windows’ unique liniar profile system, with its distinctive fully sculptured profile and internal beading, works in conjunction with A rated glass to increase your home’s thermal efficiency, enhance its appearance and improve its security. These windows have bay poles on a curved or part bay. The poles connect the sections together, making the angle of the bay and supporting the weight from above. Square bays have a post on each corner which shape the bay into its distinctive “box” or “square” shape. These corner posts also work to support the weight above the window. 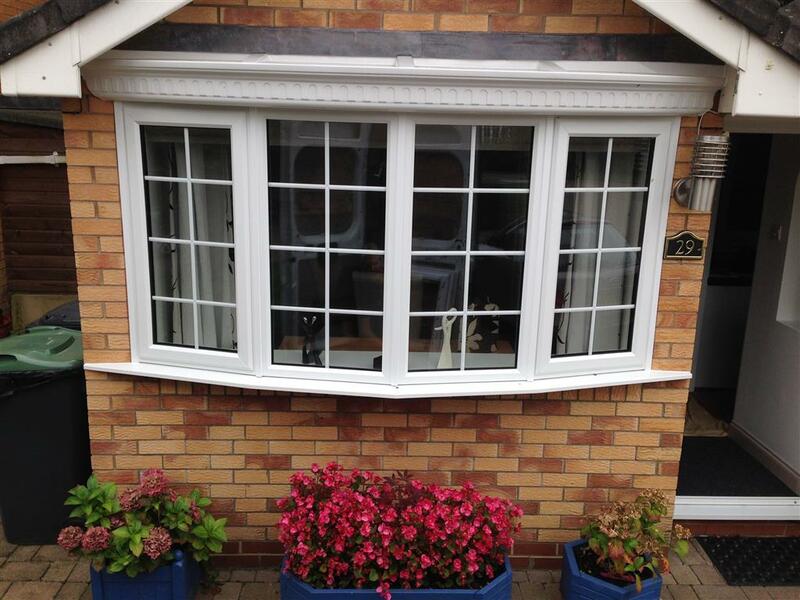 Bow bay windows are one of the most common and often evolve from normal flat windows. 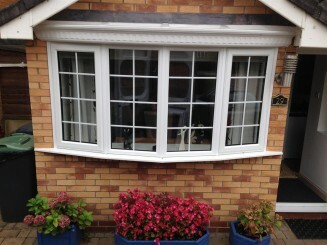 To turn a normal flat window into a curved bay window, the old window and internal window board are removed then replaced with a new white dura-board window board. This new board is cut to the shape and size of the new window. The new window is then installed and it makes the curved shape of the bay. Finally, a GRP fibreglass canopy is installed to complete the roof before lead is installed and chased into the wall. This lead keeps the window watertight and prevents water ingress. – get in touch if you have any questions!